In 2008, the Massachusetts Green Communities Act opened up new sources of funding to help the state reach its ambitious energy efficiency goals. The responsibility for allocating these funds was given to a group of diverse stakeholders, the Massachusetts Energy Efficiency Advisory Council. 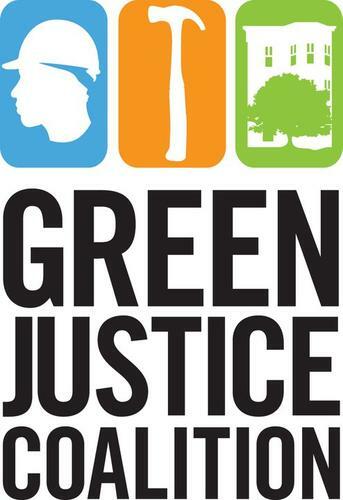 One stakeholder, Community Labor United (CLU), was intent on using the process to push its environmental justice mission aimed at generating high-paying jobs and community-level benefits. Eric Mackres (MCP ’10) studied how CLU incorporated both organizational efforts and collaboration into its activities. In doing so, CLU blurred the line between traditional social movement strategies (from the outside) and participation (from the inside) in the planning process. CLU had to learn to find the middle ground both among its own constituency—which included labor groups, environmental advocates, and community organizers—and with utilities and other parties with an interest in energy efficiency funding. While CLU made occasional missteps in shifting between collaboration and organizing, in the end they were effective in securing funding for community-based pilot programs that would further their environmental justice goals. Eric credits much of CLU’s success to its hybrid strategy that combined social movement theory and collaborative decision-making. He suggests that the two styles of planning can be combined more frequently with good results. Read more about CLU and how these two schools of thought can be combined in Eric’s thesis here. Posted on March 19, 2013, in environmental justice, environmental policy, urban development and tagged community engagement. Bookmark the permalink. 1 Comment. About a year or so ago, I prompted an interesting discussion among several Antioch University New England facutly about this topic. It was initiated by an essay written by Bill McKibben in Solutions Journal. Below are some excerpts from a draft manuscript with regard to McKibben and social movements vis-a-vis collaborative processes that I decided not to submit to the journal. I revised the draft and plan to submit it to a special issue of Sustainability. The manuscript is entitled: Seedbeds for transformative solutions: place-based collaborative problem solving groups. The aim of this essay is to highlight citizen-driven, place-based collaborative-problem solving groups that focus on conservation and environmental issues as creative problem solvers for tackling climate change.1-5 McKibben’s article It’s Time to Fight the Status Quo, and the email discussion described below that it provoked provided the impetus for this essay.6 I have long held the view “[that] talking endlessly about these solutions [to climate change] at international conferences is not going to produce them [solutions]”.6 The question is how to transform the endless talking into effective action? The lead in to the article—”McKibben argues for the overwhelming importance of a national grassroots movement”—caught my interest, although “grassroots” as a descriptor was not in the article. I enthusiastically sent an email to colleagues cheering the recognition by a national organization at long last that a grassroots movement was needed to tackle climate change. McKibben called for a social movement, which is a formal, centrally controlled, orchestrated, and managed national movement analogous, for example, to the civil rights movement.7 My definition of a grassroots movement is that of an informal, organically generated, place-based, and evolving one that springs up at the community level.1-4 The email discussion illuminated these differences. One participant pointed out, “Mckibben’s 350.org has been around for a number of years … and has been effective (relatively speaking) in building capacity to create the authorizing environment necessary for any political (policy) shift.” Another participant reacting to the condition of permission and academic abstraction he perceived in the term “authorizing environment” argued that an organic participatory movement at the local level in many communities is needed, which is not the same as a planned national movement. The arguments in the email discussion were like ships passing in the night. Confusion and misunderstanding reigned until it became clear that the participants were talking about two different processes—neither one right or wrong or better or worse, but fundamentally different. The Rosa Parks “event” proved the key to clarity. I raised it as being organic and not waiting for the authorizing environment. Another participant explained that in reality Parks was a trained activist and that the bus event was carefully planned, timed, and managed and that it initiated the authorizing environment for the civil rights movement. The distinction between centrally planned, managed and controlled national movements and de-centralized, power-sharing, organic, participatory collaborative groups is substantive and significant; it has implications with respect to creative solutions to sustainability and action concerning climate change. They should not be conflated as the same type of grassroots movement. Herein, when I refer to grassroots we mean the informal, local community collaborative group. Both social movements and community groups are considered avenues for and forms of participative democracy. I believe that the more truly participative a democratic process is the more inherently messy and inefficient it is.8 Yet, when it works decisions should be widely accepted and durable. In the context of this essay, the goal of national movements and grassroots groups is the same—social, political, economic, and institutional change to enhance environmental protection. The means by which this is accomplished are very different, however. I believe social movements, legal actions and other conventional remedies for addressing injustices are “corrective solutions” in that they essentially function through and result in coercive action (e.g., legislation, legal judgments). In contrast, consensus-building processes as described below can nurture “transformative solutions” in that they synthesize and integrate the priorities and values of a diverse citizenry. Through this process solutions, even legislature and legal remedies, are not the result of one interest group overcoming another. A nationally orchestrated movement is homogenous meaning that it consists of people with the same positions and worldviews; it prescribes a particular solution to problems primarily defined by its leaders. The solution to the problem is carried out through a grand strategy.7 “Without a grand strategy, the disparate activists and groups involved in a movement do not have a common, consistent basis for planning, organizing, and evaluating their efforts and supporting each other. This leads to inefficiencies and unnecessary dissidence as groups go off in contradictory directions.”7 The time-honored process of civil disobedience is necessary in certain situations and contexts to achieve fundamental social change as, for example, the civil rights movement. To my way of thinking a controlled process with a narrow constituency limits and impedes creativity and discounts the potential of synthesizing a solution from opposing worldviews for mutual gains. With a well-designed collaborative process of diverse stakeholders, once trust is established and fingers stop being pointed as to who is to blame and the problem becomes shared the dynamic for tackling the problem completely changes. Outside-the-box-thinking and creative solutions become possible as part of an ongoing process. What has been done has been incremental and some things have improved and some have worsened. Apparently judging by the continuing exhortations for more than one hundred years to take action no innovative or creative leap forward, however, has been made to solve the ongoing environmental crisis, which is now exacerbated by rapidly changing climate. Why? What has been missing? The potential collective power of thousands of local, community watershed, conservation, and environmental groups across the nation has been the missing element. The spotlight shines brightly on the international and national organizations. The local groups work in near anonymity. It’s time to shift resources to these groups so they can ramp up their efforts and leverage regionally and nationally their local power. Working with place-based groups to develop community-based ecological stewardship provides the most fertile ground to foster a transformative change in humankind’s relationship with nature to one of conscious participation in contrast to onlooker.32,33 It is among these groups that there is the best chance for people to experience a mind-opening epiphany like that of the Nevada rancher. This can only happen one person at a time. Environmentalists unwittingly perpetuate the status quo by continuing to focus only on the corrective solutions that to date have produced periodic significant milestones, but have not achieved a transformative solution. While not abandoning the processes for corrective solutions we need to bolster the local groups and engage in the processes that could create a transformative solution.